We help disability service providers make better decisions by making data useful. We work with your existing software and systems, including multiple databases and spreadsheets, to consolidate and integrate your data and reporting into one easy to use platform. This makes it easy to see if your key metrics are on track, manage resources more efficiently and understand your financial position at-a-glance, allowing you to make timely decisions. Getting up to speed rapidly is easy, resulting in a quick return on investment. The only limit is the available data. We work closely with you to ensure your project is successful, no matter how large or small. 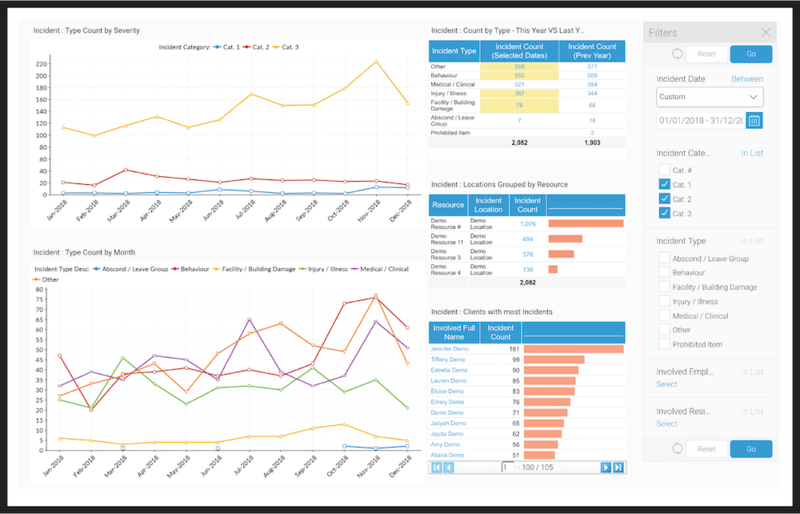 Monitor incidents and identify trends as they occur. Filter and drill down to the detail. Manage your organisational risk and make decisions based on data. Contact us for a free over the phone consultation today.